The Home Staging Network offers Members the opportunity for home study, to develop a staging business and to grow a successful staging business. Gain professional certification with the home study course for Certified Home Staging & Styling Professionals CHSSP and register your business services as a Member at the Home Staging Network. 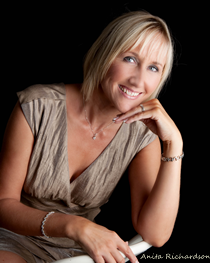 My name is Anita Richardson and I started a Home Staging Business over 10 years ago, when it was little known in the UK. At the time I was a single mum, working full time, studying Interior Design at College and I wanted a creative career in which I could be my own boss. I learned a lot along the way about how to build a successful Home Staging business, what it takes to create profit, keep your customer 100% happy and help them to sell their property faster for more money. I created my own successful Home Staging business, founded the Home Staging Network to promote the services of all Home Staging businesses and developed the CHSSP Certified Home Staging and Styling Professional course to enable would-be Home Stagers to get the best possible training. I am passionate about developing a quality Home Staging industry which is able to meet the demands of the property market. Now my own business HouseWow® is the UK's leading Home Staging and Styling brand and shares it's branding and client enquiries with other Home Staging businesses in the UK. I'm pleased to share my knowledge with you and to make it easy for you to start and to grow a successful Home Staging business. Home Staging is a growing industry and needs professionals to provide the services. The Home Staging Network recommends the CHSSP Course for all Home Stagers. The course is completely online and is full of practical details and information to help you develop Home Staging skills and grow a successful Home Staging business. The CHSSP Certified Home Staging and Styling Professional Course will help you to build the skills and knowledge to start a Home Staging Business and grow your client base and services. At the end of the Course Graduates are awarded with a Certificate, the CHSSP logo to use on business documents and a CHSSP verification web page to promote services as a Home Staging and Styling Professional (CHSSP). You can customise each document with your own business details. Last but not least, you will need to get your home staging business found on the internet. Look no further than the Home Staging Network where you can detail your services and link to your own web site or have a full page for your Home Staging Business listing. Be assured when you pay for a Home Staging Business Network listing no Google adverts will appear in your Business listing page. Good luck with your Home Staging Career, I love it and I hope that you will too! The Members of the Home Staging Network have signed up to the Home Staging Network professional code of practice and confirmed that they have public liability insurance. It is recommended that before taking up services with the business detailed that you check their Insurance, Terms and Conditions of business are up-to-date and sufficient for your requirements. The Home Staging Network is a resource for Home Staging, Interior Design, Declutter, Furniture rental, furniture dressing, property improvements, Interior furnishings and home improvements.